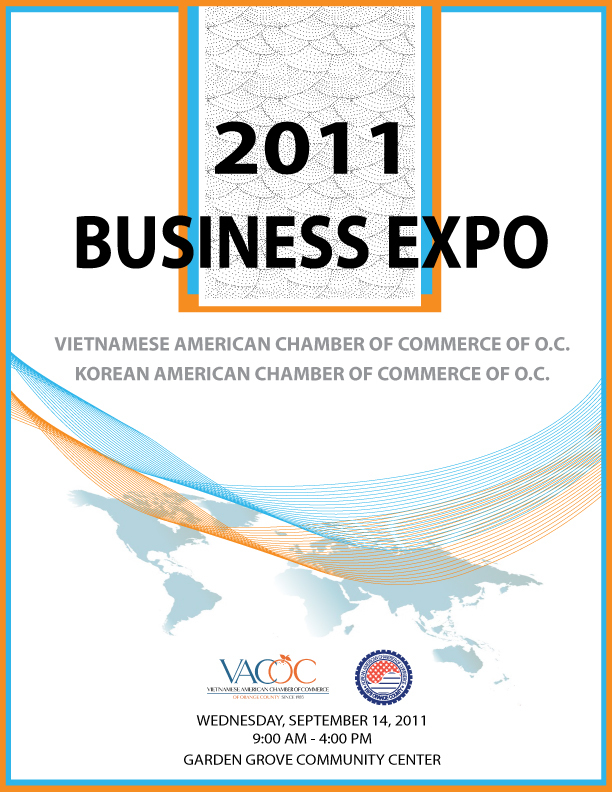 In 2011, what began as a collaboration between the Korean American Chamber of Commerce of OC and the Vietnamese Chamber of Commerce of OC has now grown to include nearly every one of Asian American business organizations as well as the local chambers of commerce in Orange County. 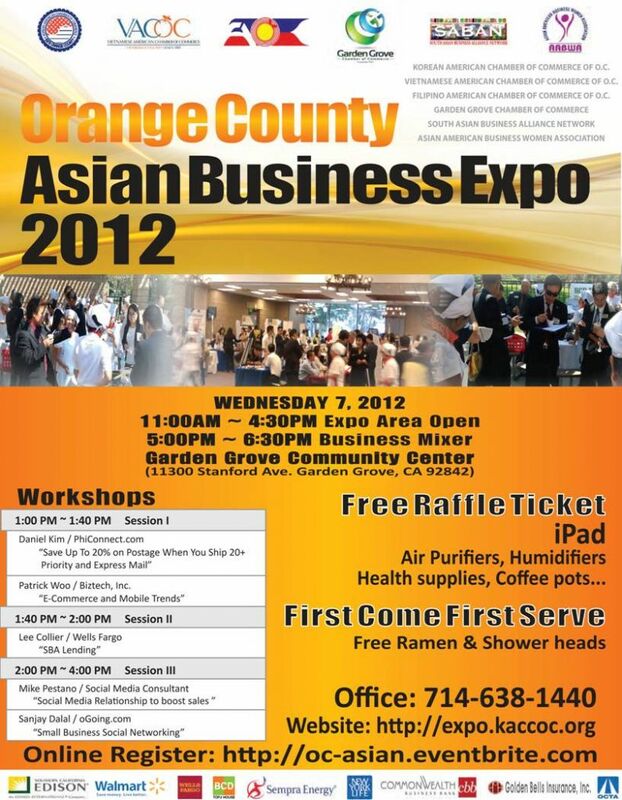 The Korean American Chamber of Commerce of OC (KACCOC )and the Vietnamese American Chamber of Commerce of OC (VACOC) first joint Business Expo was held on Wednesday Sept 14, 2011 at the Garden Grove Community Center. Commerce, SABAN, and AABWA third joint Business Expo was held at the Embassy Suites Anaheim South Hotel on Tuesday, October 8, 2013. In a strong show of unity and mutual cooperation, five Asian chambers of commerce, two city chambers and five Asian business and community organizations jointly hosted the 4th annual Asian Business Expo on September 10, 2014 at the Embassy Suites Anaheim South Hotel. 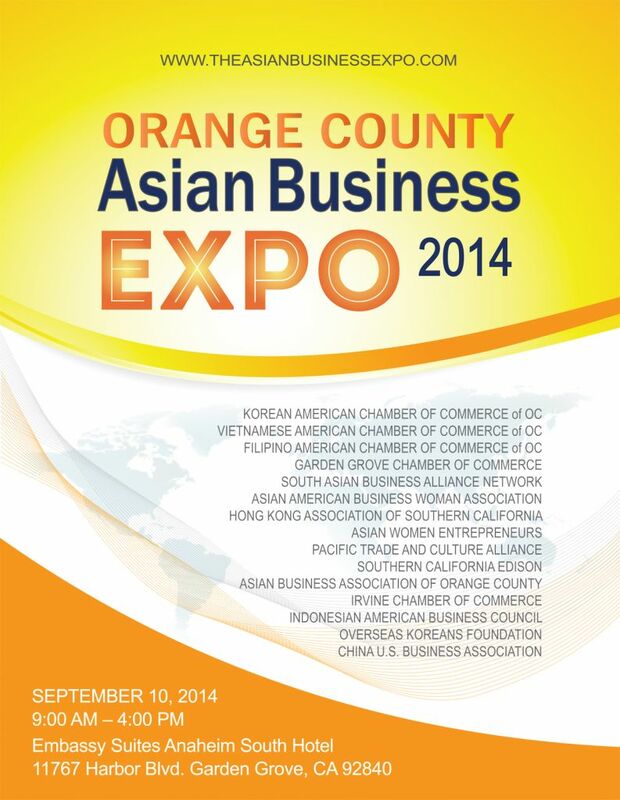 The Korean American Chamber of Commerce of Orange County, along with sixteen (16) other co-hosting Asian and local business organizations hosted the 5th Annual O.C. 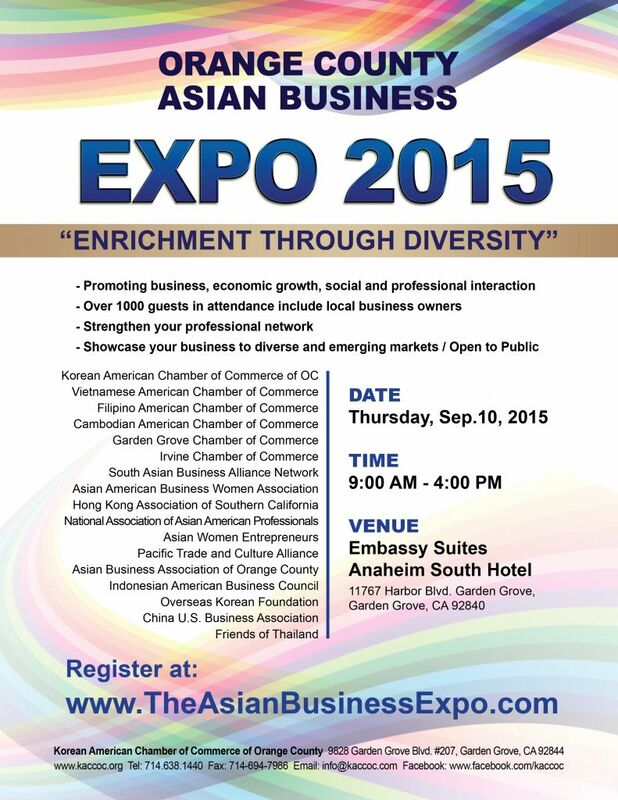 Asian Business Expo at the Embassy Suites, Anaheim South Hotel, 11767 Harbor Blvd., Garden Grove, CA 92840, on September 10, 2015. 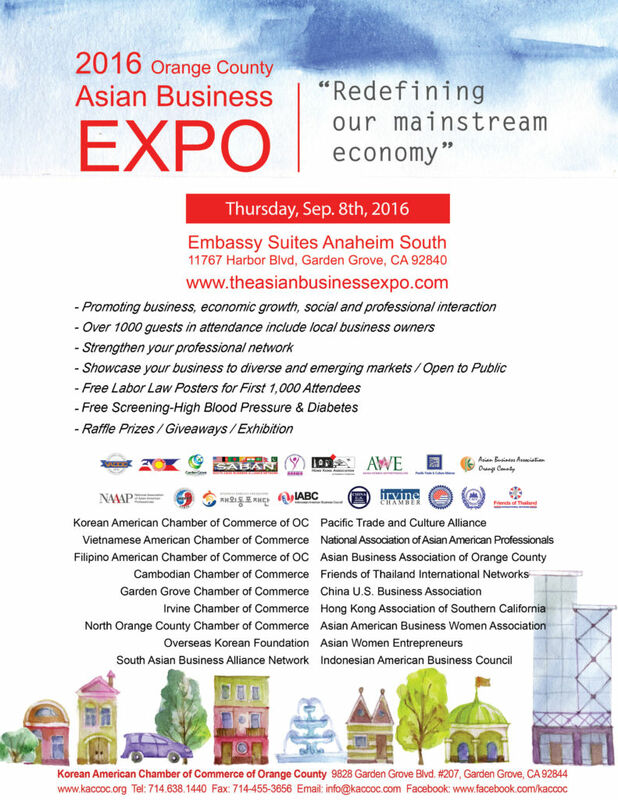 On Thursday, September 8, 2016 from 9:00 AM to 4:00 PM at Embassy Suites, Anaheim South Hotel (11767 Harbor Blvd, Garden Grove, CA 92840), the Asian Business Community had collaborated for its 6th Annual Orange County Asian Business Expo. 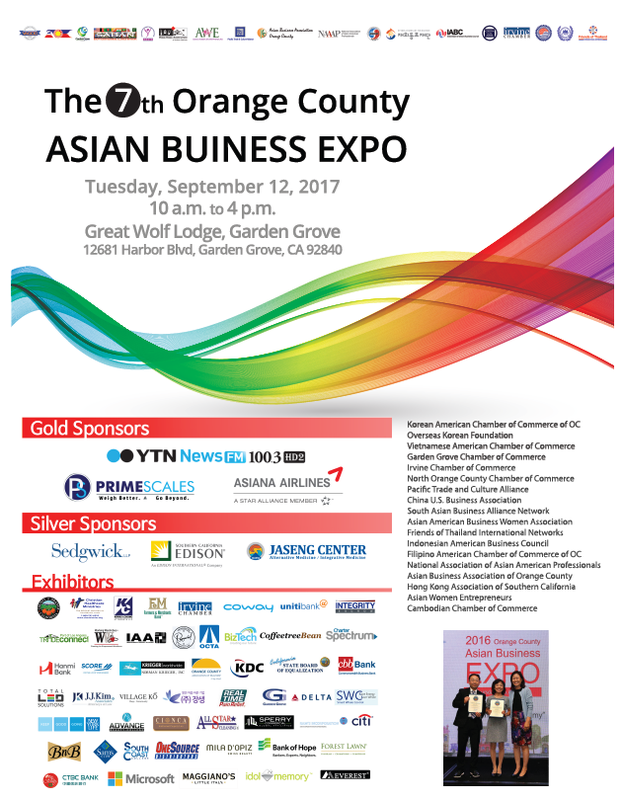 On Tuesday, September 12, 2017 from 10:00 AM to 4:00 PM at Great Wolf Lodge Hotel (12681 Harbor Blvd, Garden Grove, CA 92840), the Asian Business Community had collaborated once again. Attendees of the Expo will have a “once-in-a-year” opportunity to network, face-to-face, with vast array of Asian businesses and learn more about each other in one setting. Each of the booth sponsors would be given an opportunity to market their business, via video and/or on stage. This would be a great opportunity for anyone to gain direct access and contact with businesses that would otherwise be inaccessible and unapproachable. Few of the participants will be coming from overseas, just to capitalize on this moment.